Lady Gaga's relationship with Taylor Kinney works because he has a reserved character and she's a wild larger-than-life character. 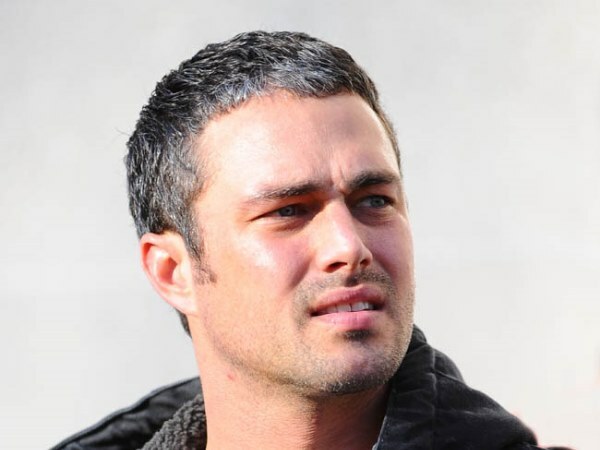 The singer has been dating the Chicago Fire star since August 2011, and although they have had their ups and downs, he says it is a case of opposites attracting between them. He told E! News: "I'm reserved. She's not. For whatever reason, it works. It works and that's that." The pair were seen kissing and cuddling up to each other at the NBCUniversal after party in Beverly Hills following the Golden Globes awards on Sunday. Taylor (32) has previously said he is ready to settle down and wants to have children with Gaga (27). He said: "I do want to give Mom grandchildren, of course. I think I'd be a good dad, it would be a pleasure. I'd love it - and I'm in my 30s now. "My mum wants me to get married, and have children of course. "She's met Gaga, we've been dating a while, we're in a committed relationship and I'm really happy in my relationship. I'm a very lucky guy." Gaga - real name Stefani Germanotta - has previously said she's hoping to have at least three children. She said: "I want to have tons of kids, actually. I think at least three. I really want to have a family and I really want to nurture my children. "To be honest, having my own kids will be like having three little monsters with me all the time."